Are you? I bet you wish you were the kind of marketer who knows when you check the mail that it is full of checks from your earnings. Many people who get into affiliate marketing never even see a check. Some never make a single sale because they are too busy trying to recruit instead of selling. Where is the money you were told you would get when you signed up? No where to be found. If you are marketing the right way then you can see monthly checks in your mailbox all year long. Maybe it won’t be in your mail. Maybe it is direct deposited or sent to your PayPal account. You CAN become an affiliate marketer who can build a stable income. If you are committed to this business, then read the following. 1. Choose a market niche – You have to choose a niche market that you can identify with. This niche has to be something you know you can put your heart into and be happy that you are promoting it. Not every niche will be easy to get going but will be worth it in the end. 2. Search Affiliate Marketing programs that are within your chosen niche – Be sure that the company will help their affiliates with ways to promote the program such as banners or example ads and/or graphics. This type of company cares about not only their success, but also the success of their affiliates. One of the best out there that I love is CTFO because my sponsor passes on sample ads and there are conference calls regarding updates to their products and changes in their business. 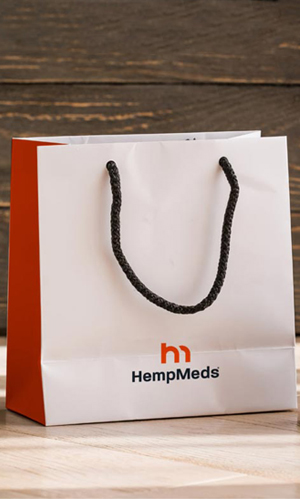 This company’s main products are CBD products. I use them so it’s a great company for me. 3. Create a website that focuses on your chosen niche – Create a newsletter to give information about your products and why you stand by them. Give factual information. Opinions don’t really go very far in the affiliate marketing world. A website is a necessity. People will continually visit your website for updates if they are interested in your niche. 4. Generate traffic from interested participants to go to your website – You want to make sure your interested participants visit your website and sign up for your newsletter. You can keep them interested with the emails they will receive regarding your products or services. Be different in your ways of marketing to get them there. If you are not creative, they will just go to the next ad they see and skip right over yours. 5. Make sales – If someone is going to your affiliate site, it should be because they are ready to buy from you. Present them with whatever it is you are offering but make it so tempting that they can’t resist to buy from you instead of someone else. Don’t sound boring. Always sound enthused when presenting your offers. The amount of sites offering affiliate programs these days are in astounding numbers. Some are good programs and others just are not. Be sure to do your research on every program. Do website searches on legit companies. Watch YouTube videos from people who have experienced each program and go from there. MAKE SURE you choose one that is just right for you. Here are some tips to help you find a great program. 1. Search for a program that falls within your chosen niche. If you have chosen beauty products, you may want to provide more than information just about your products. You may want to provide information on the best tools to use to put on your makeup or remove makeup. You may want to provide information on the best way to put on lipstick or how to determine the best color for your skin tone. Be sure the products are something you can stand by. For me, Maelle Beauty has fantastic beauty products that I would definitely stand by. If makeup isn’t your thing, maybe you can sell candles from Country Scents Candles or bath bombs from Country Suds. 2. Consider how much commission you will earn from the company. Before sending out your advertising emails or flyers or other means of advertising, consider how much your commission is from the affiliate marketing company. If you have done some advertising and have gotten a great response, it may be worth sending out more advertising. Think about how many emails or flyers you would have to get back with a response for it to be worth your time and the costs incurred. When you did your last bit of advertising, did you make more sales? If not, you are already in debt to your business. Think of what you might say differently in your new mailing. What could make your sales better? Is there something you can offer your customers, such as something free, if they purchase a certain amount of products from your affiliate site? You do not want to spend more on advertising than you are making. 3. Purchase the product yourself. Never recommend a product to your customers if you know nothing about them. Be sure you are aware of how something is made, how it made you feel, how it looks or works, or even how durable a product may be if that description fits. You have to give your customers a believable statement about your products. If you don’t believe in them yourself, you can’t do that.